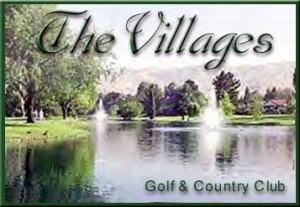 The Villages Golf and Country Club is a private community exclusively for adults age 55 and over. Established in 1967, The Villages offers a spectacular championship golf course surrounded by distinctive neighborhoods. Historically an area of vineyards and agricultural estates, The Villages remains a haven of natural beauty. Though secluded, The Villages is near shopping, transportation, and California’s South Bay’s burgeoning cultural community. It is located on 1200 acres with 2,309 condominiums, or villas, and 227 single-family homes and approximately 4,400 residents. There are many styles of architecture within the communities’ twelve districts, or villages, but each village neighborhood has one consistent style. The homes are primarily heated by gas sources and all include air conditioning. The local municipality provides both sewer waste and water services. All utilities are underground. The Villages Golf and Country Club was rated among the top 20 adult communities in the entire United States by New Choices for Retirement Living.